Ever wonder how much that painting in your office lobby or parents' living room is worth and where it came from? There's an app for that. The Magnus app — dubbed the "Shazam of the Art World" — released a new version this week that lets you take a photo of a piece of artwork on your phone, and the app will pull up the artist's name, price, and history. It also gives you the option to sore the data and create your own digital collection. CEO Magnus Resch, who privately funds the company, told Axios that the app uses visual search technology to immediately recognize over 8 million works in its growing database, and the company adds over 100,000 new images each month. The database is grown through crowdsourcing information, which is then processed and verified by the company before being made available on the app. The goal of Magnus: "I want to continue building a very transparent and open market by leveraging the latest technology, said Resch. "Ten years ago this wasn't possible, but now we're able to build the largest art database in the world." 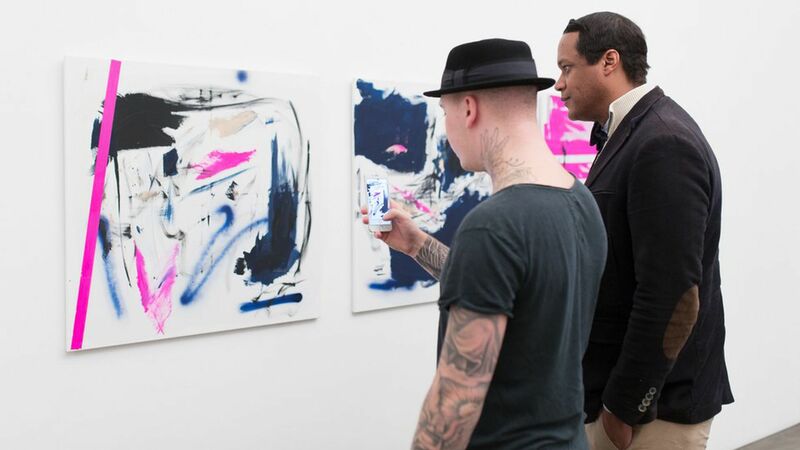 Other features: The app also includes maps of different cities around the world, and highlights the galleries, art fairs and exhibitions in the area. The current cities featured are Berlin, London, Los Angeles, New York, Paris, and São Paulo. In the next few months Magnus plans to add Hong Kong, Zurich, and Moscow. Copyright allegations: In July 2016, the Magnus app was removed from the Apple Store following copyright claims from a series of galleries asked for some images — as well as the price data associated with them — to be removed. However, the claims have been settled and Magnus is back in the App store.